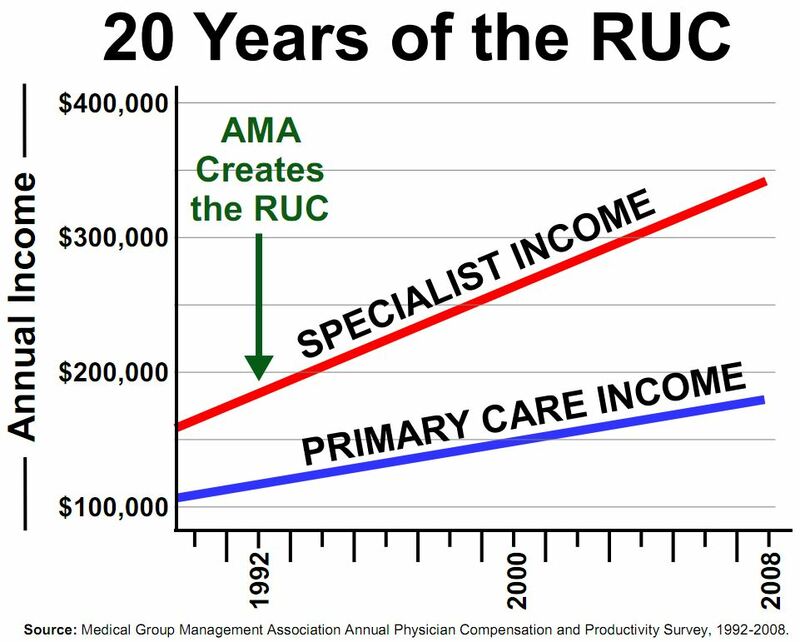 The Relationship Between Primary Care Income and Medical Student Interest | Replace the RUC! Linda Velasquez, M.D., F.A.A.P,. M.P.H. You Go!! I am a struggling Pediatrician dealing with Medicaid. 80% of our little patients have medicaid; yet there is little appreciation as to the training and skill that goes into educating parents and keeping children out of surgical situations, or hospitalizations. Nurse practitioners are used as MDs with all the overtreatment, overreferrals, and overimmaging that entails. They are “cheaper”, but not in the long run. We need more recognition for our skills, but how? Gosh, I wish I would have had that infomroatin earlier! Pingback: Residents and Medical Students Should Support Efforts to Revalue Cognitive Services | Replace the RUC! Read This First! Why Did We Develop This Site? The evolution and structure of the US' medical payment system. 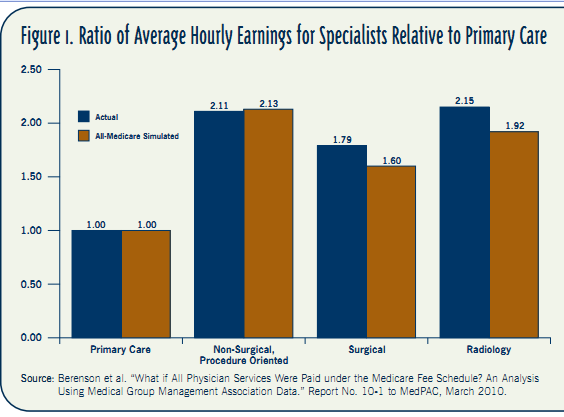 How it came to devalue primary care and favor specialty services. How that has translated to lower quality care at far greater expense in the US. We believe the overwhelming majority of American primary care physicians are deeply frustrated with the differences in how primary and specialty care are valued by the current system, and the havoc that system has wrought throughout health care and the nation. The first step to remedying this situation is for the primary care medical societies to visibly and loudly withdraw from participation in the RUC, de-legitimizing the process. That said, this effort is most decidedly NOT primarily about getting primary care physicians more money, but bringing our health system back into homeostasis. We hope that you will first familiarize yourself with the information available here, and then use one of the letters supplied to urge your primary care society to leave the RUC. Together, perhaps we can facilitate a process to replace the RUC with a more balanced, independent advisory panel to the Centers for Medicare and Medicaid Services (CMS). Then the next step would be to urge replacement of the current, highly jiggered reimbursement methodology, the Resource-Based Relative Value Scale (RBRVS), with another approach that is more modern, enlightened and focused on value. 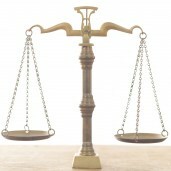 We believe that a core principle of a revised payment system is payment parity for management of complexity. This is likely to be a process that takes time, so we'll update this site daily to reflect the latest information. Please visit often to stay in touch. And if you think this is important and worthwhile, please pass this site along to your colleagues. Please feel free to contact Paul Fischer MD or Brian Klepper, PhD if you have any questions or concerns. Want to help. Click here to get in touch. 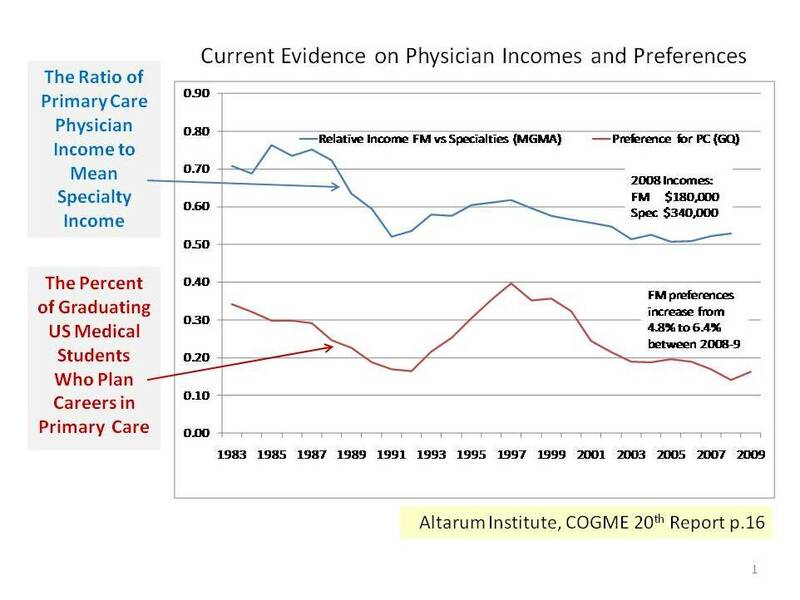 Will Anyone Listen When Former CMS Chiefs Call For More Objective Physician Payment?